High 10 Profile (Hi10P), also known as 10-bit, is the newest standard for fansubbed and encoded releases. In really basic terms, more data is used to define color which means there is less banding for a smaller file size. It's an H.264 profile which uses 10 bits of information to represent color. It's a huge improvement because there is less file size, which in the long run saves bandwidth. Significantly higher compression ratios resulting in vastly decreased file sizes. In return, a huge amount of bandwidth is saved. Far more information is preserved from the original, removing such issues as banding and poor detail in dark scenes. Less things for the encoder to worry about. No support for DXVA or CUDA as of writing. Slight compatibility issues with older devices during playback. 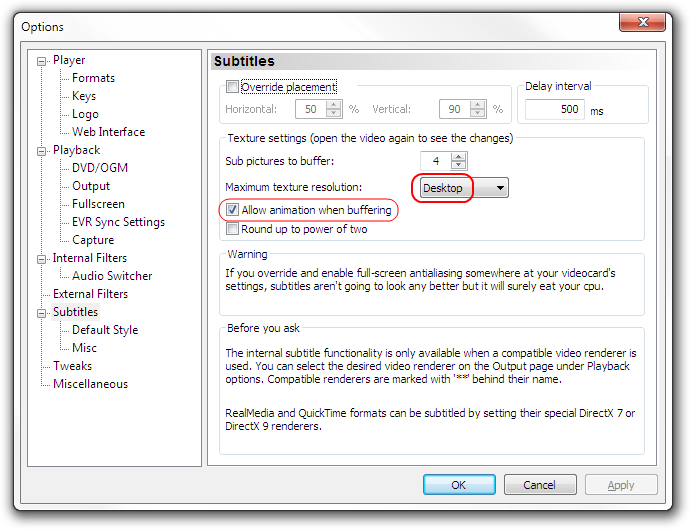 However, not using VSFilter means that anamorphic releases which compensate for the stretching (e.g. 704x480 DVD releases) may give broken signs typesetting and stretched-looking subs. Two branches of VSfilter (threaded-vsfilter and xy-vsfilter) will handle these releases correctly, and they also support 10-bit input and output, meaning you don't dither using ffdshow or LAV. These two branches are still in development though , and may exhibit bugs. This method will result in higher image quality and performance than using CCCP (or anything ffdshow-based, really), so if you’re struggling to play back Hi10P anime, or even regular 1080p, consider trying this. MadVR and LAV are updated regularly and uses very new versions of libav for decoding as well as custom edits to make 10-bit decoding even faster, giving it much more speed than the ridiculously outdated ffdshow-tryouts project, and the even more ridiculously outdated CCCP codec pack that is based on it. As of CCCP version 2011-11-11, CCCP included LAV filters as an alternative to ffdshow-tryouts. Uninstall ALL instances of MPC-HC, CCCP, ffdshow, madVR, Haali, K-lite, CoreAVC etc. you might have on your system. This is a clean guide that requires no other prerequisites to function, and ideally should have none installed either. Download and install the latest version of MPC-HC (you want the .exe version for an installer) Note: Get the 32-bit version (called x86). 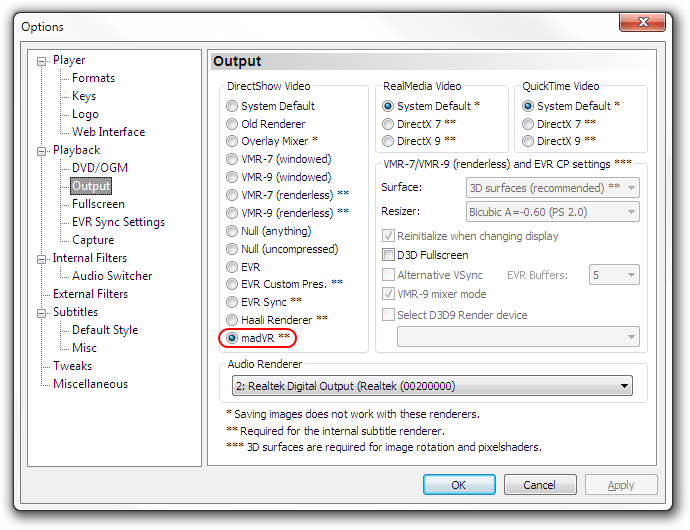 The 64-bit version is incompatible with madVR. 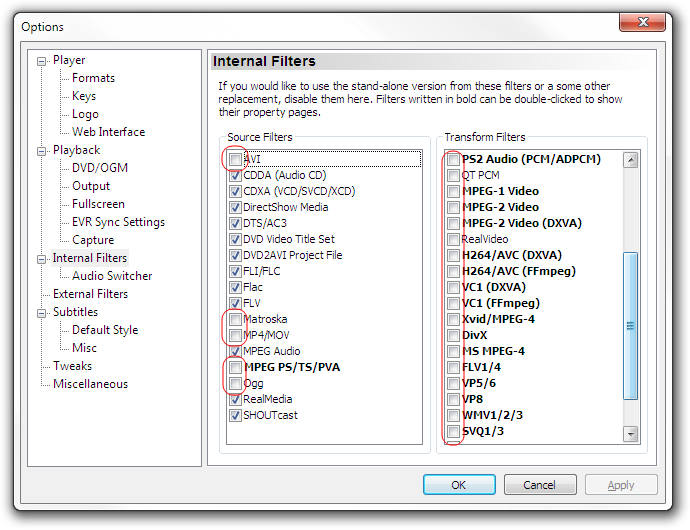 It is however, possible for the 64-bit version to function when the 64-bit LAV filters are installed. Install the LAV Filters. These are necessary for decoding video and audio. You need to select the Splitter as well. 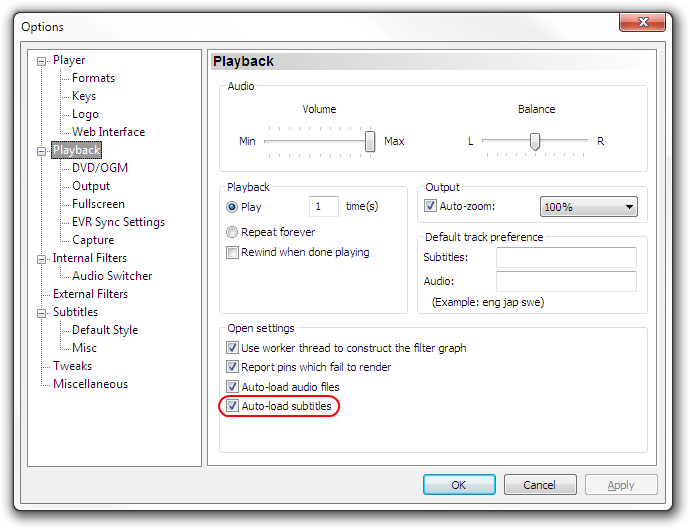 Note: You can skip this step if your PC isn’t very powerful! Download the latest version of madVR and extract it anywhere you like. Run install.bat inside the folder. DO NOT DELETE THE FOLDER AFTERWARDS, madVR lives inside it and does not copy itself anywhere else. Move it somewhere sensible before installing, for example C:\Program Files\madVR. Note: Make sure you’re logged in as an Administrator when running this! Do not right click and "run as admin", log in as admin and run it normally! 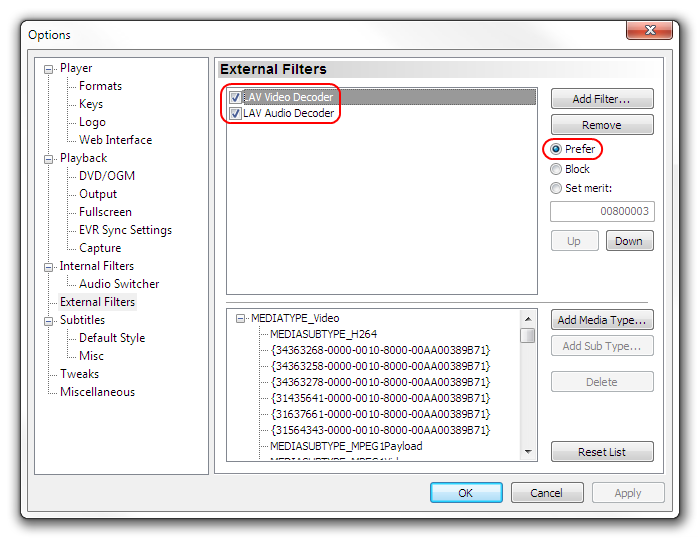 Adding ffdshow will allow you to use its audio decoder (for filters + a more customizable mixer), as well as using it for formats other than AVC1 (H.264), VC1 and MPEG-2. Especially for older 480p and worse content (which isn’t likely to be encoded in AVC1), you can use the ffdshow deblocking or debanding filters to attempt to improve image quality this way. This page was last edited on 24 June 2013, at 23:07.